Hispalex. 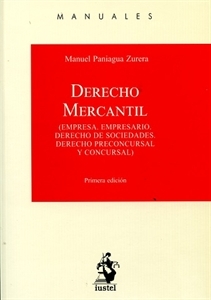 DERECHO MERCANTIL. EMPRESA, EMPRESARIO. DERECHO DE SOCIEDADES. DERECHOPRECONCURSAL Y CONCURSAL PANIAGUA ZURERA, M.